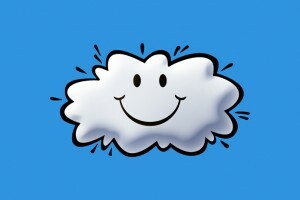 This is the Cloud of Happiness. You may not have seen him in awhile, but he’s out there. Somewhere. You want him in your life. Your customers want him in their lives, too. How do you really feel about your customers? How do you really feel about your business? So much of our business life is centered around managing the expectations, both our own and our customers. We often end up unhappy in our business because we’re not getting the results we expect. We’re disappointed. We’re afraid. We’re frustrated. Sometimes our customers end up unhappy, too. They’re not getting what they thought they’d get. They’re disappointed. They’re afraid. They’re frustrated. What are you gonna do about it? Anything? It’s time to better manage the expectations – your own and those of your customers! P.S. Do me a big favor…click here and go over to iTunes (I know it’s not the easiest thing in the world to do)…and leave me a 5-star review. It’ll help us get the word out to more people.